Goal: Assess ecological and conservation implications of climate change for montane ecosystems. and the viability of native species. Scientific Foundations for Conservation: Creekside Science is working to assess ecological impacts of climate change and develop conservation plans for montane ecosystems. Global climate change translates locally into corresponding shifts of microclimate gradients, with potential habitat for some species increasing and for others decreasing. 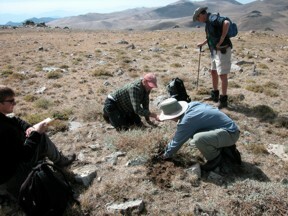 For example, distributions of plant species such as big sagebrush (Artemisia tridentata), currently most common in warmer, drier habitat of lower elevations, are expanding in higher elevation microsites as temperature rises. 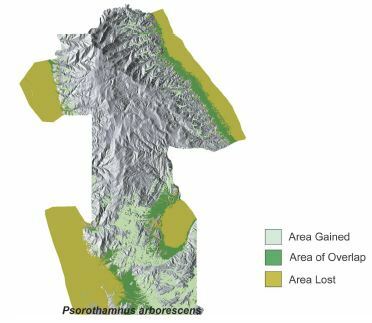 At the same time, populations of higher-elevation species are becoming more fragmented and shifting from south-facing slopes to cooler north-facing slopes. 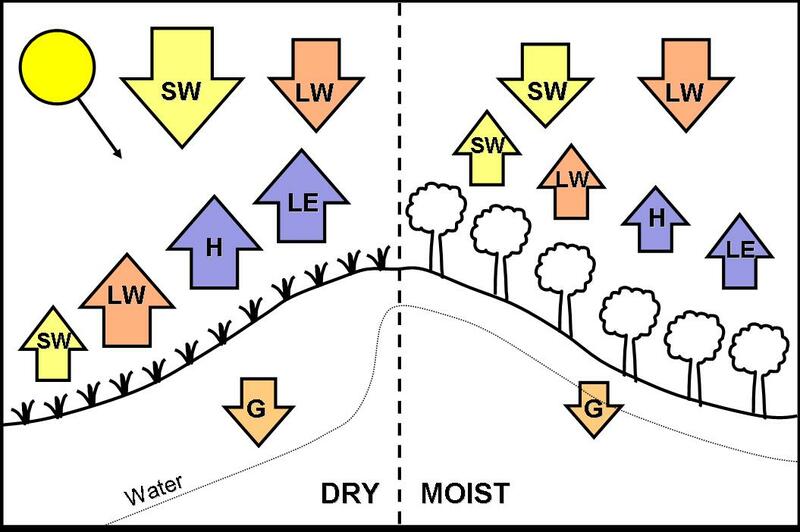 Microclimate shifts also cause additional non-linear, cross-scale changes in processes such as fire cycles and pathogen outbreaks. Energy Balance Components: shortwave radiation (SW), longwave radiation (LW), sensible heat (H), latent energy (LE), and storage (G). 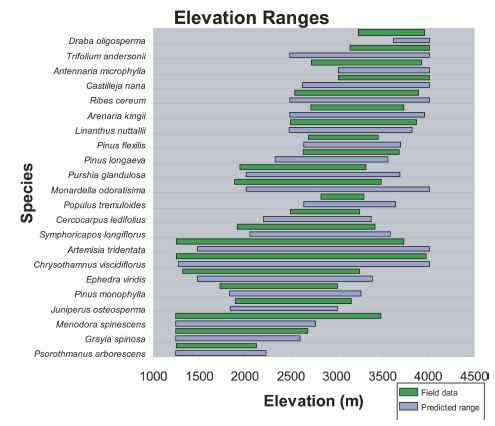 Elevational range of 22 species in the White Mountains – predicted and observed. Predicted change in distribution of Psorothamnus arborescens with 3 degree C change in average temperature.